We are hosting family in town from Boston this week so I decided to bake up a few goodies for everyone to enjoy. Brownies are one of my all time favorite treats, hands down. I don’t know about you but personally, I’ll take a chocolate brownie over a slice of apple pie any day of the week. Confession: I love boxed brownies. There. I said it. (Hides.) In the past, I have made brownies from scratch – everything from basic recipes all the way to Ina Garten’s Outrageous Brownies. End result? Too sweet. Too much. Too rich. Today’s recipe is my perfect balance between naughty, delicious and healthy. Calories reduced from 200 to 135 per brownie. 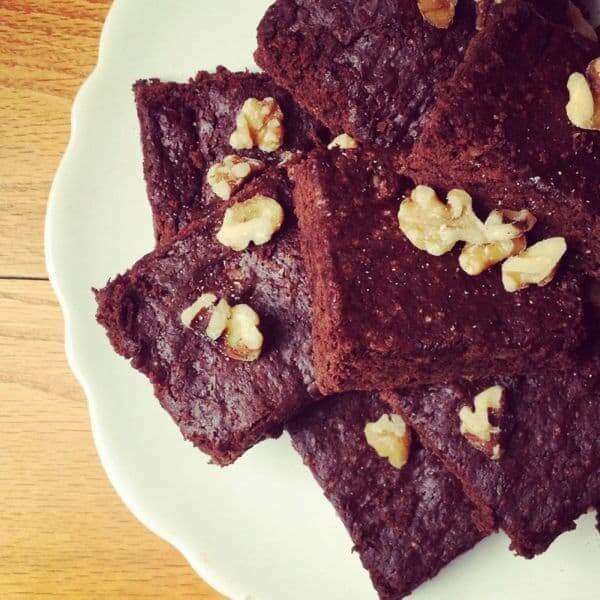 Vitamin A boosted from 0 to 70% of daily requirement in just one brownie. Total fat went from 6.5 g to 1.9 g per brownie. Saturdated fat reduced from 1.5 to .5 g per brownie. 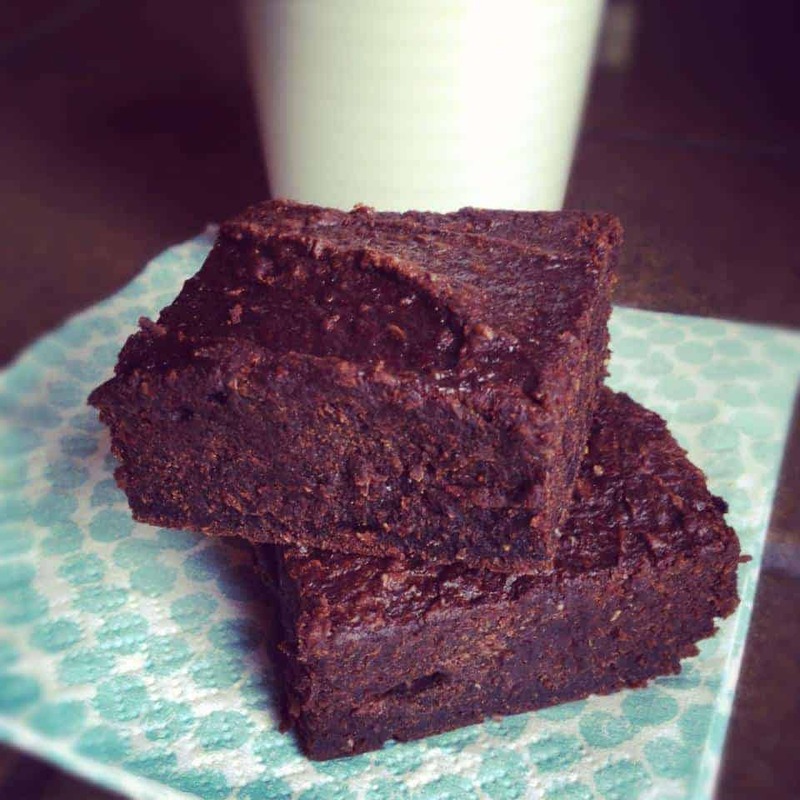 Pumpkin Chocolate Espresso Brownies is the perfect balance between naughty, delicious and healthy. Spray baking pan of choice with non-stick spray (I used 11 x 7). Spread mixture evenly into pan and bake according to package directions. Please note: you may need to cook a few minutes longer than instructed. Remove from oven when toothpick comes out clean. Let cool completely before slicing and serving. Looks so good :-) What are the ingredients in a brownie mix? Cocoa, flour, something else…? Would love to do this from sctrach (mostly because I don’t live in the States, and not exatcly know if similar brownie mixes are available here)! Very moist and easy to make. My 5 year old said these were delicious! I can taste the pumpkin but overall this is a good receipt to satisfy you brownie craving. I’m so glad he enjoyed them! Pumpkin is a great secret weapon when it comes to healthy eating! 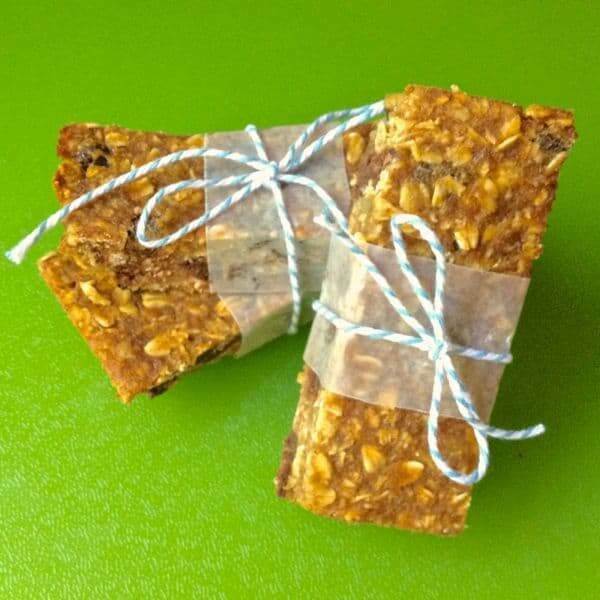 What if I don’t have flax seed meal, what would I have to do to substitute that? Yum!!! Very good! And super simple to make! I’m very devoted to my brownie recipe… but I’m open to new ideas. Love the concept of pumpkin in brownies! Will have to try this. 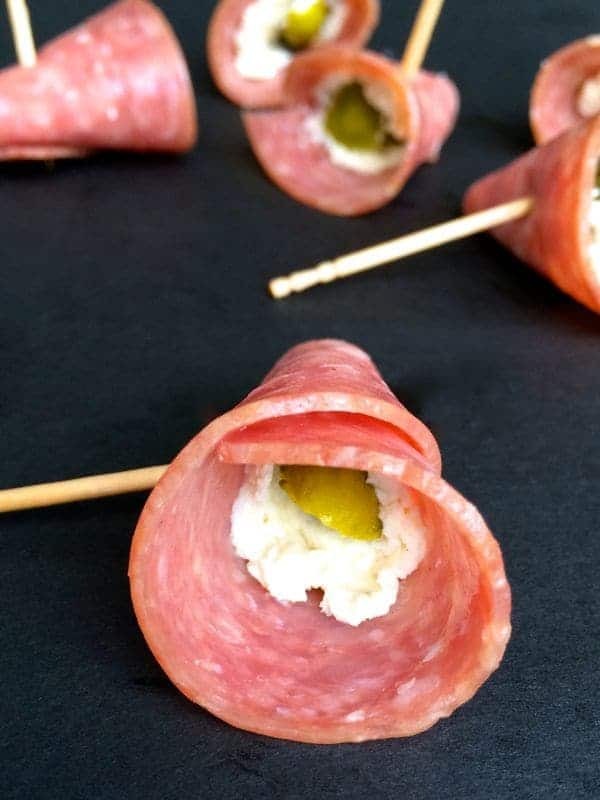 Well this is purely a recipe for those looking for a lighter option. Certainly, go with the real deal if you are craving a rich brownie! :) But these are fun for kids because they sneak in pumpkin. Wow, if I made this, I wouldn’t feel too guilty about inhaling half the pan in one sitting ;) I love your alterations and the fact that you’ve included nutritional information.